36K by Exalto may look simply stylish at first glance, but its hinge system reveals something much more complex! This patented system is constructed around 3 key components: a fork, an axis and a cam. Movements of rotation and translation combine with flexible materials to create kinematics that allow optimal functioning of the hinge system and flex. 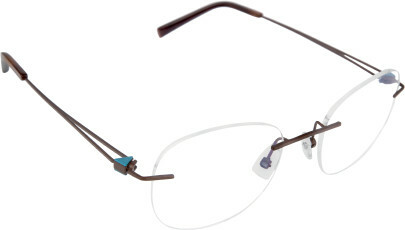 The frame also features stylish temples in understated, solid colours, tortoiseshell or carbon. For the ultimate in sophistication, when the temple is folded, the distance between the two strips expands and an additional splash of colour is revealed. An ingenious way of pleasing fans of hidden technicality.